Inspired by the fabric covered notebooks - a super idea. I have it in mind to make some peg bags as Christmas presents with some Cath Kidston bird fabric and I have found some kitsch bird pegs too. Those are some neat ideas. I just finished my craft fair for the year. Hope it all goes well for you and everything sells! Everything looks great, i especially love the sewing kits. Hope you enjoy the fairs, and thank you for the mention! Gorgeous products - good luck selling them at your next fair! 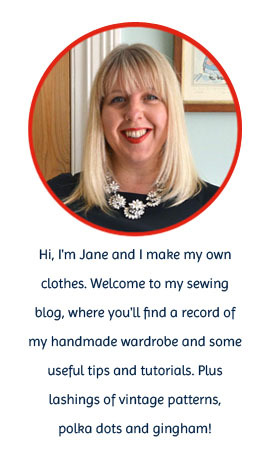 What lovely things Jane (and gorgeous fabrics too - you really have an eye for these things). Good luck with the fair. I've just turned down one coming up in a few weeks - lack of time more than anything else - but at the events I have been to, once I'm over the initial panic/fear (what if no-one like my stuff? ), I've always enjoyed being a stallholder. You should do well! I love these ideas, thank you so much. How easy is it to put a zip in? I would like to make a few of these bags as Christmas table gifts for the "girls"
Thank you so much for the info. I shall check that site out. What great ideas! Do you plan on writing up any tutorials? I'd love to have a go at the notebook cover but wouldn't know where to begin. There's a link to the notebook tutorial iI used I n my post. But here it is again for good measure! These are so cute! Great Christmas gifts. Loving the sewing kits ! I bet they sell well. I love the tape measure fabric and I've been wondering what to make out of it. I've got into a bit of knitting recently and need some kind of needle case, knitting bag and I think this fabric will be perfect so that will be a project for the new year. These are all great additions to your repertoire, Jane. Best of luck in the craft fair season this year. good luck at the fair. I love the tube map oyster card holder. Good luck with your craft fairs. Your stall is going to look stunning with all the pretty fabrics you've chosen. My favourite is the dress making themed fabric.